It's officially Autumn, according to Google, so let's dive into my autumnal base routine. As most of you know my daily makeup is very basic but I never skip foundation and contour. They are my two ride or die makeup staples and I feel naked and vulnerable without them because I don't have the best skin or the best cheekbones. I, of course, wash my face and apply moisturiser. I have been using the Tata Harper moisturiser lately. Then using the Real Techniques Miracle Complexion Sponge damp I apply a medium coverage foundation all over my face and drag it down my neck. There are two foundations that I have been alternating between lately. The Milani 2 in 1 Conceal & Perfect Foundation in the shade Sand (£10) which I am testing out for an upcoming reveiew and the Rimmel Match Perfection foundation. I like both foundations because they are a decent medium coverage, a good colour match and don't feel to heavy on my skin. I am constantly in a rush in the morning so don't always have time to customise the coverage I want which is where the Urban Decay Naked Skin Ultra Definition Loose Finishing Powder (£23) comes in. 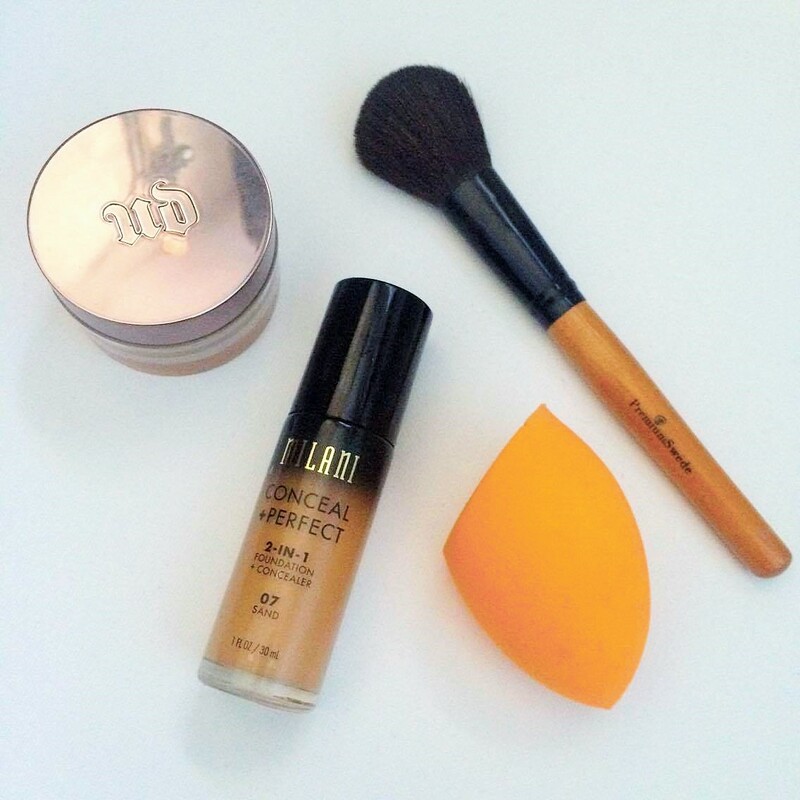 The Ultra Defintion powder adds the finishing touch, I apply it all over my face with the Premium Swede powder brush. I really love this brush it's just the right size to apply all powder products: blush, bronzer and setting powder. Once the HD powder is applied I feel like my base is on another level, like someone has turned the saturation up in my skin and I finally look alive and airbrushed. It is such a gorgeous powder. The only con is that because it is a coloured powder it does transfer a little so be mindful when you're touching your face or wearing a pristine white jumper. As someone who touches their face at least five times per second (help me stop, puh-lease) I am excited to announce that it holds up extremely well even after constant touching. It really sticks to the foundation which I love. Onto my favourite part: contouring! God, I love contouring so much. I am not someone who contours like crazy but using my Sleek Contour Kit (£7) or NYX Contour Kit (£18) I like to add some definition to my face. I am very particular about where I contour so the hollows of the cheekbones are where I focus most and where I contour the darkest and then I take the powder up to my temples, the sides of my face to slim it down a little, under my jaw line, chin and the centre of the neck. My forehead isn't large in length so I don't contour my hairline and I never ever skip contouring my nose. The final touch is a swipe of lip balm on my lips. I love the Albus & Flora Multi Active lip balms (£10) because they are so moisturising and feel lovely, they also last a long time on the lips which is rare for a lip balm. In addition, they contain an SPF 30 and aren't sticky or gloopy in the slightest. If I feel a little self conscious about my contouring, as I never want it to look obvious, I blend it out further with either some translucent loose powder, my favourite is the Vichy Dermablend Setting Powder (£15), or the same Urban Decay Naked Loose Powder I used earlier.. Thank you so much for reading, it always means so much to me especially as I haven't had a lot of free time to read everybody else's blogs recently. So the fact that so many of you keep coming back and making time for my blog makes me really happy. Thank you all so much. I have been seriously considering making YouTube videos recently. I don't have lots of equipment but I thought it would be cool to try. Let me know what you think and if you have any tips or advice. Happy Friday! Take care. What is your current favourite foundation? I love the sound of the UD powder! I've been wanting to try the Milani foundation for a while but I've heard they oxidise so I need to figure out the best shade, did you find this was the case too? Well! Good to know about your routine but I was wondering If you get a good color match in rimmel? Their foundation are generally pink based. And If I am right... You ve gotten yellowish undertone. Was wondering which shade u use? I bought a rimmel foundation anticipating it's yellow by online swatches but it is absolutely pink. I've been wanting to try the Milani foundation since it was launched, I love the way it looks on the skin in seeing how it works with oily skin. 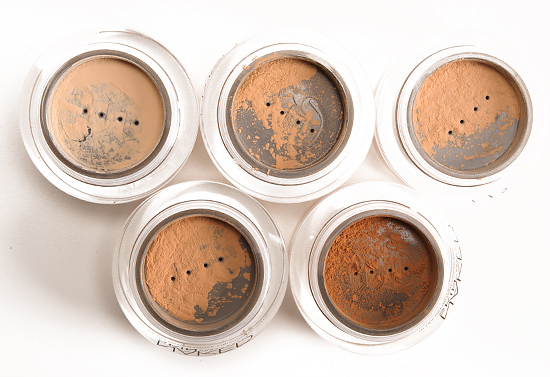 I am also very interested in the UD powder, I have never heard of it before and I love loose powders more than pressed ones, except for the messy factor. I also have to agree with the Rimmel foundations, they make excelent ones, my all time favorite foundation is actually the 25H Foundation by them! Really good post, Kiran, I love to have some new recommendations, I want to try everything now!